3 bedroom plus bonus guest room, 4.5 bath, (6000 sq. 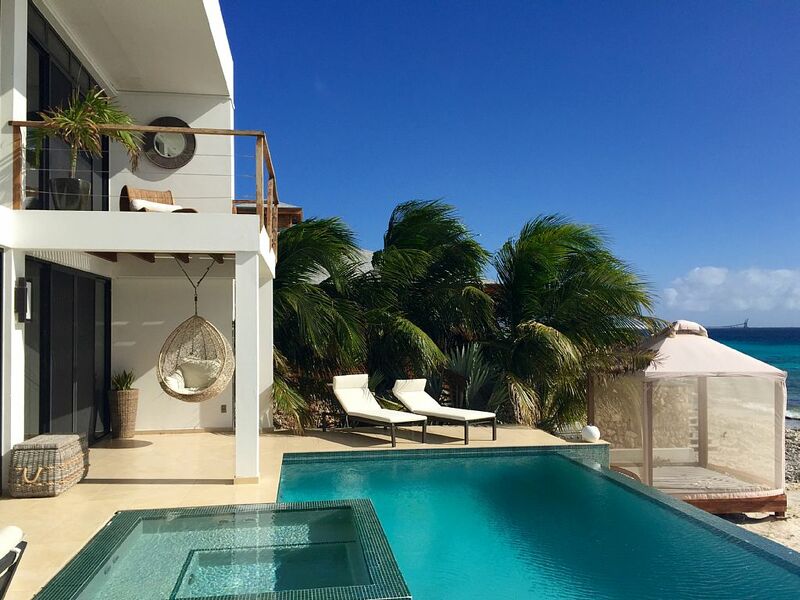 ft.) luxury villa on Esmeralda Beach, Belnem/Punt Vierkant, Bonaire. Step off your very own beach and scuba Bonaire's best dive sites. Large infinity pool, heated spa, private beach. 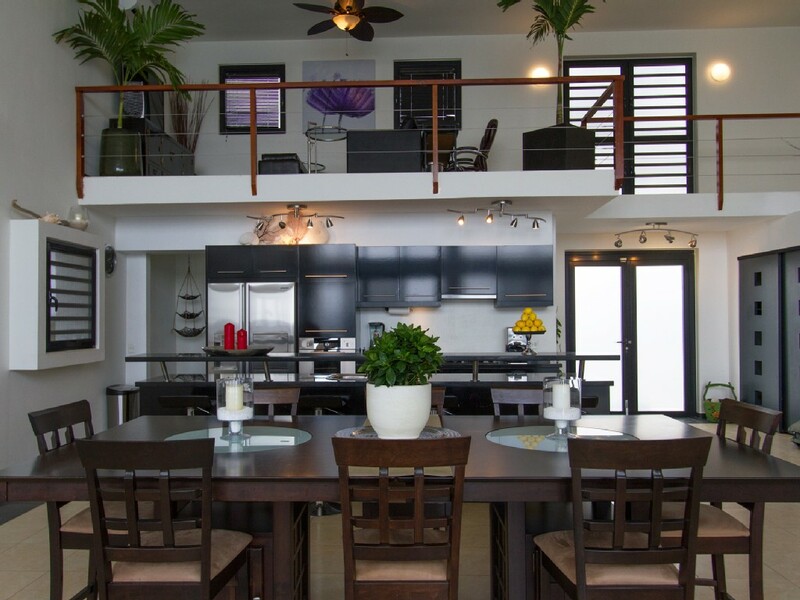 Luxurious open air concept, high end finishes, granite, stainless steel, motorized window treatments, blackout curtains, tremendous view from the entire living room, master and 2nd bedroom over the Caribbean sea. Front loading washer and dryer, high speed wireless internet with uninterruptible power, designer LED lighting, Keurig coffee, premium linens, towels, toiletries, and natural extract misting system for a bug free stay. Motion sensors, alarm system and automatic outdoor evening lighting for added security. Multi zone a/c. 55 inch flat panel televisions with premium cable and movie channels. Loft office business center equipped with multifunction printer/scanner and shredder. 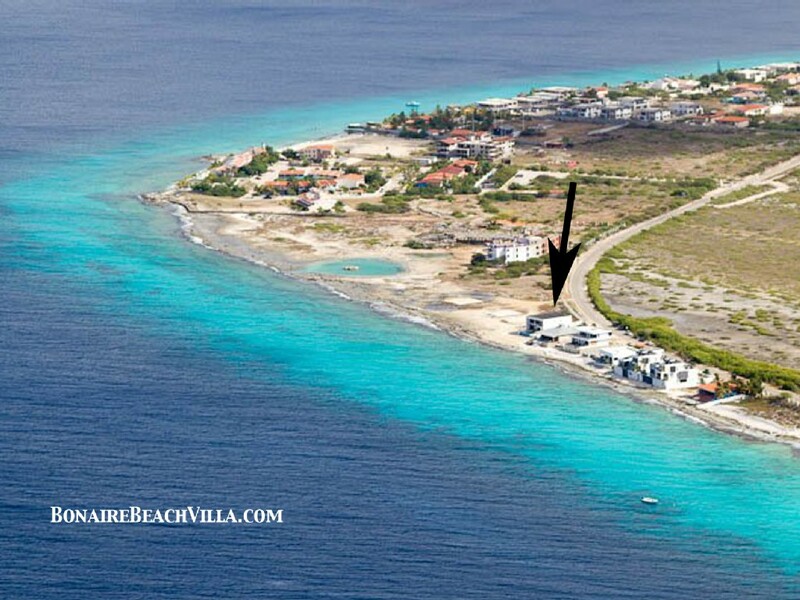 Bonaire Beach Villa is the only residence to have uninterrupted business grade fiber optic internet. Outdoor loungers, tiki torches and BBQ grill. Weekly maid service and cellular phone included. 4th bedroom is bonus bedroom available upon request. Garage and outdoor motor court provide ample parking. NOT SUITABLE FOR YOUNG CHILDREN 2-4 YEARS OF AGE. 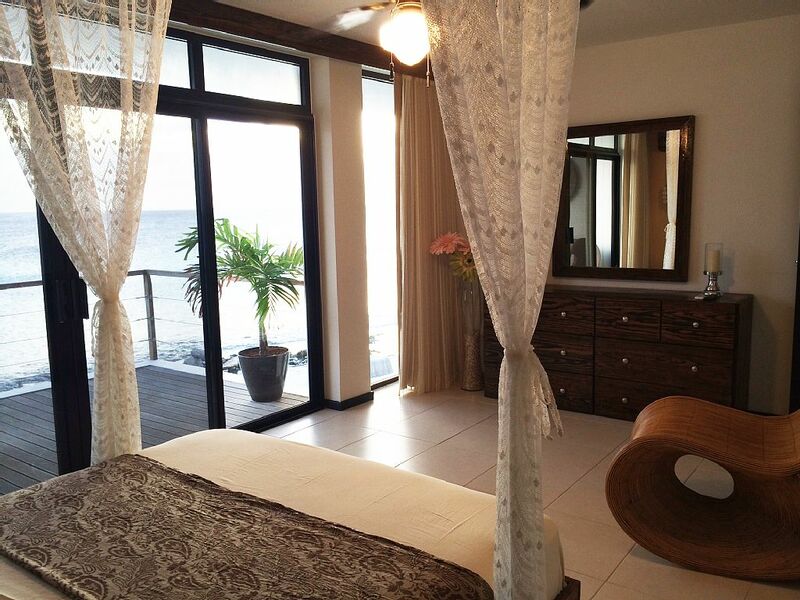 Bonaire Beach Villa is located on the water, close to the city center but far away enough from the bustle and noise. About 8 miles (10 mins driving) from the main town, Kralendijk. Utilities (electricity + water) maximum usage of $25 per day. For our guests we receive specials / discounts from various dive shops, car rentals, restaurants and other companies. Internet: Yes, business-grade fiberoptic wifi with uninterrupted power. Private sandy beach with adjustable plush lounge chairs and a large bbq grill. Just steps away from the sea, perfect for snorkeling, diving or a quick swim. 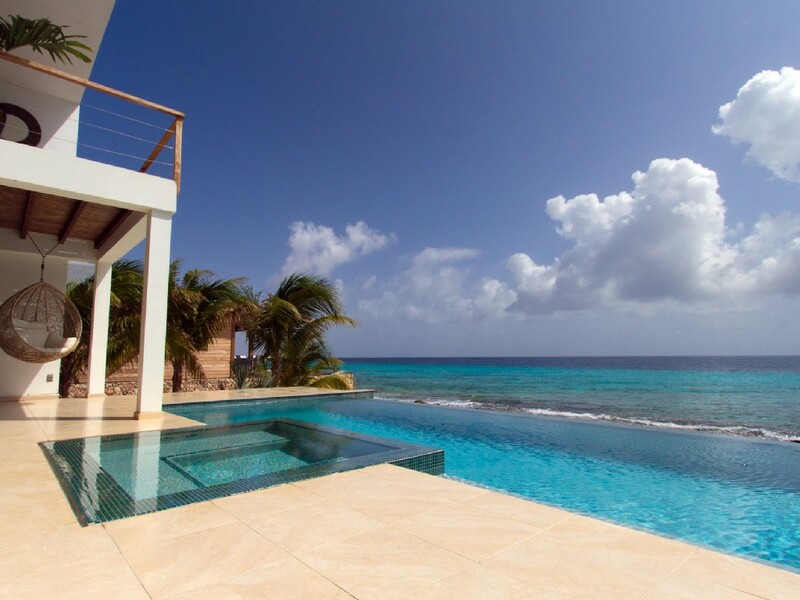 Enjoy paradise as you should with direct access to Bonaire's warm waters. Whole house is air conditioned. Bedrooms, office, dining area, kitchen and living room. Palapa bed on the beach. 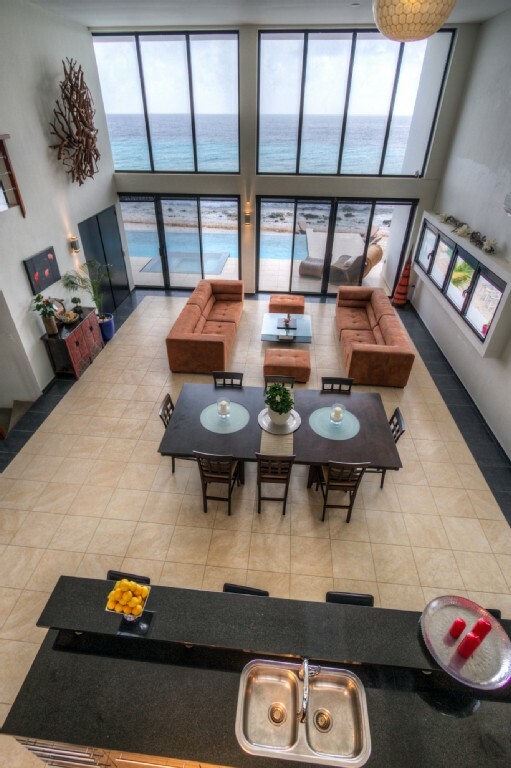 An exquisite vacation Michael F.
"If you're looking for a luxurious beach getaway, this villa in Bonaire is what you're looking for. I stayed with my family recently and we were satisfied with its proximity to the airport and downtown area. You have all the comforts of home with a full kitchen and Wifi for your business needs. At 6,000 square feet, you will feel like you're in a mansion. No worries about sharing the same bathroom when you all are going out. 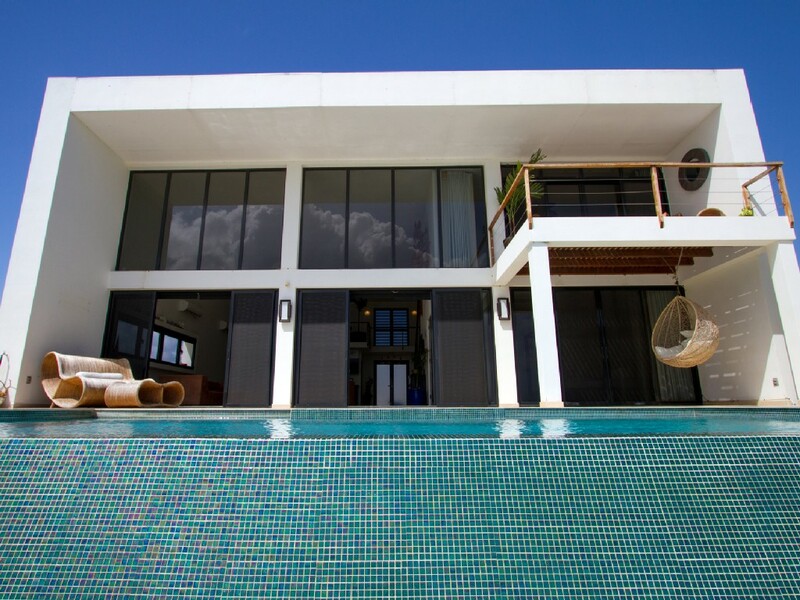 Take advantage of the large pool and private beach, it is truly one of the most beautiful views one could ever see. The concierge with its impeccable service on top of everything will make you feel like a Hollywood superstar. I give this property five stars and when you get a chance to visit here, you will want to hurry back as soon as possible." 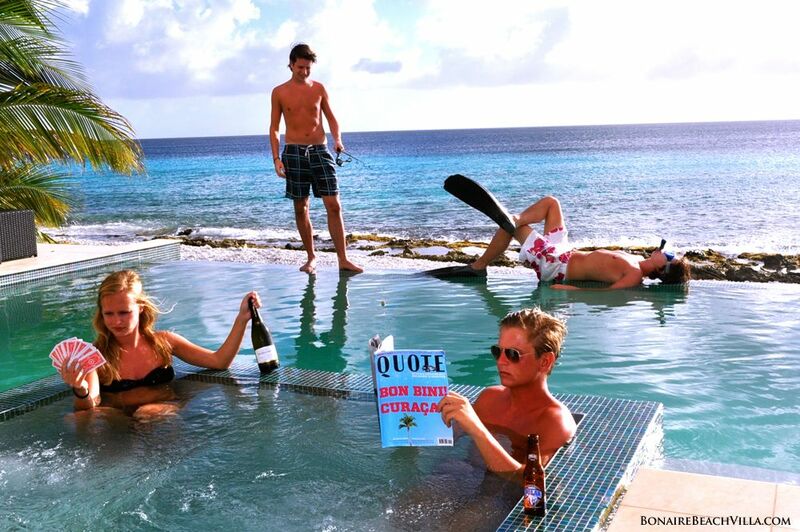 Simply the best Jeff K.
"The very best of Bonaire can be found at the Bonaire Beach Villa! With high end finishes throughout, you'll love this 4 bedroom home. It's perfectly situated -- only a short drive to downtown and to all of the island's best dive sites and restaurants. Alexis, Dustin and Emily made our stay easy and enjoyable. We were personally met at the airport and shuttled to the villa. When we arrived, we had a bottle of champagne waiting on us. I'm sure there are lots of nice homes on Bonaire, but this home is the best. What sets them apart from every other location? The service! Alexis went out of her way to take care of all our pre-arrival needs! She helped with two rental cars, a contact for diving, a deep sea fishing trip, and even restaurant recommendations and reservations. Stop looking and book this villa for your next vacation. You've just found paradise!" 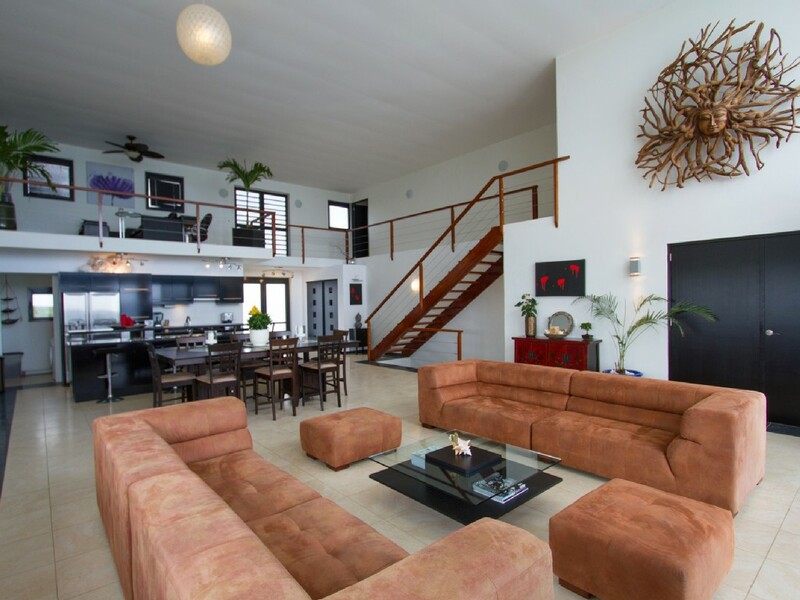 Amazing piece of property Louis T.
"My family and I stayed at Bonaire Beach Villa for our 30th anniversary. When we walked in the door, I knew we had made the right choice. 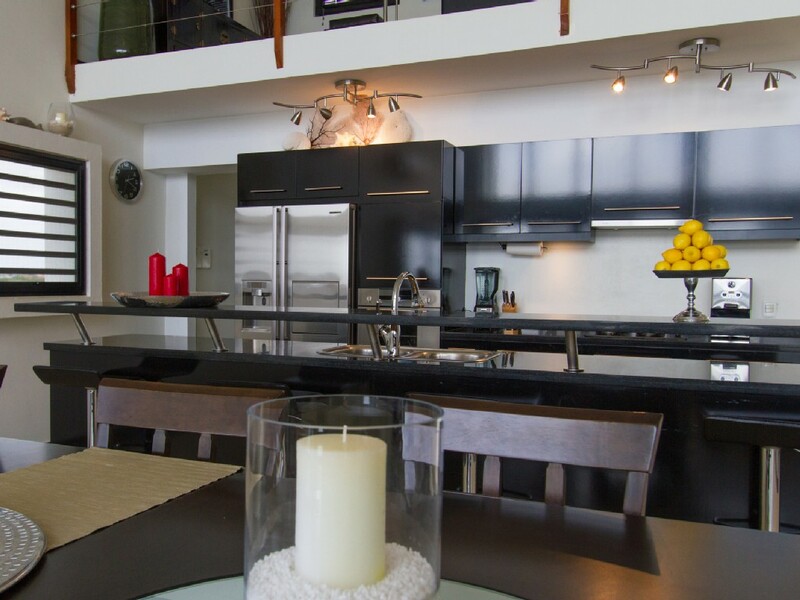 The fully equipped kitchen was up-to-date and modern and the high ceiling living room was our family's favorite hang out spot with comfortable furniture and a astounding view. The bedrooms were lovely. 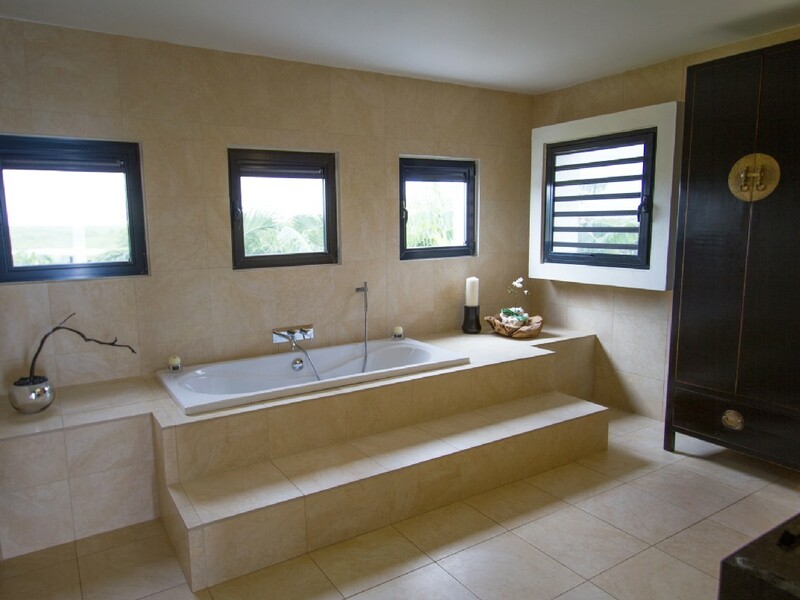 They were aromatic and better than pictured with sturdy furniture, clean high-quality sheets and towels. 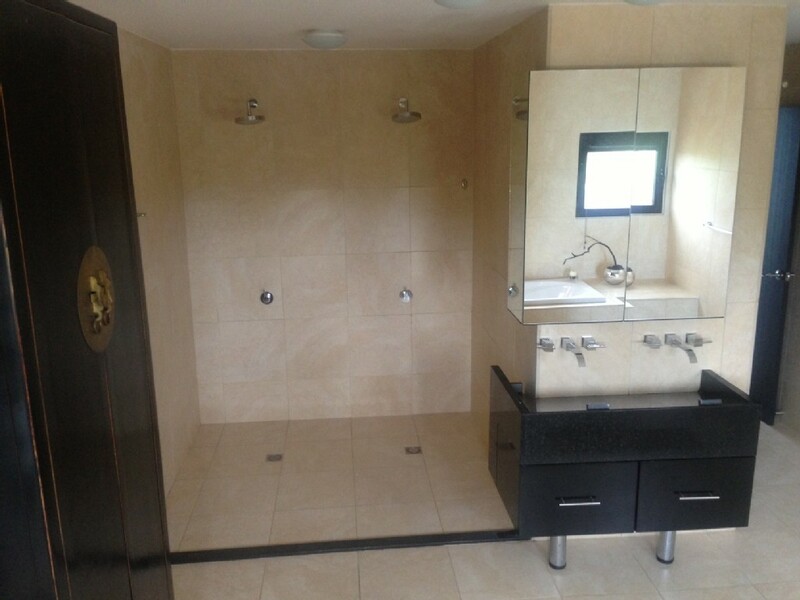 The master bedroom and bath suite were elegant, with private access to the pool and jacuzzi. The pool was a nice place to cool down after a hot day. 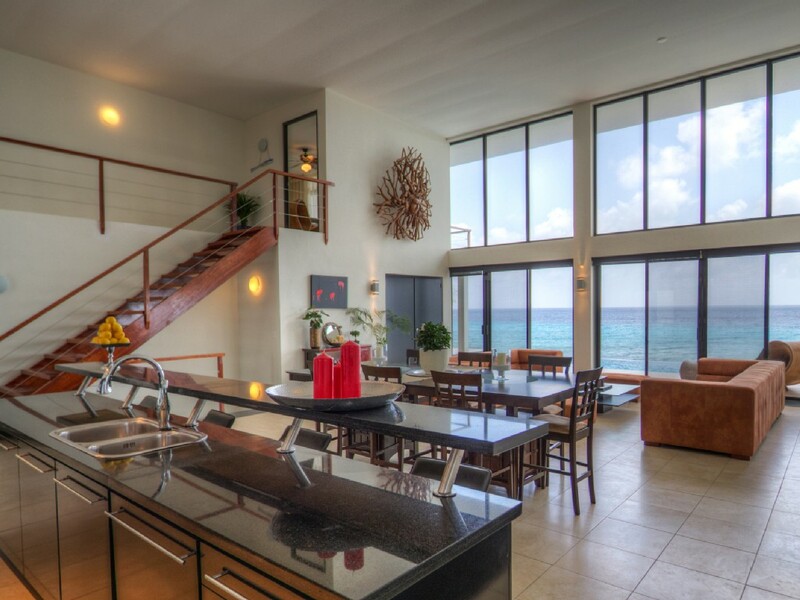 There are convenient stairs from the pool deck to the private beach with easy shore access to wonderful swimming, snorkeling and scuba diving. As divers, we were in the water at least 2 times per day and with tank delivery to the villa, it made things too easy. We enjoyed BBQ's on the beach and watched the sun rise, set and the stars come up. It was our favorite vacation. 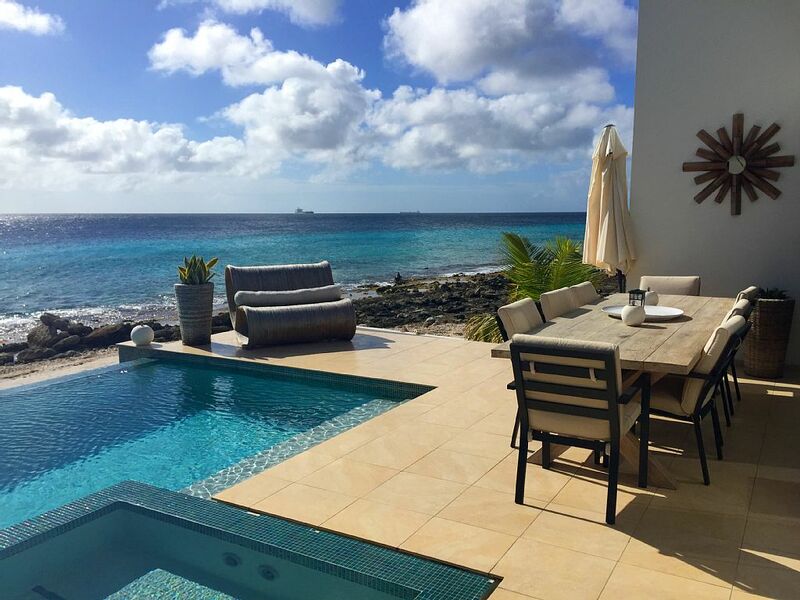 We love Bonaire and will definitely return to this villa." Incredible location and villa!! What a gem! Grace A. This was a week of the best vacation that our family has ever had! The pictures do not do justice. To live on the waterfront with our own private beach was a dream come true. Even before we decided to stay at this villa, Alexis and Dustin were extremely helpful and attentive. They stayed in continued contact with us, answering the many questions we all had and assisting in arranging our perfect family reunion. We can not thank them enough. Their personalized service was exceptional. We were greeted by Dustin at the airport who had our rental cars waiting for us. No hassle of long lines or filling out paperwork. Upon arrival to the villa, there were cold beverages and fruits plus the additional groceries that we had requested. The villa was clean and beautiful! And the view, far surpassed our expectations. It is as described on the website, if not better. The location of the villa is great. 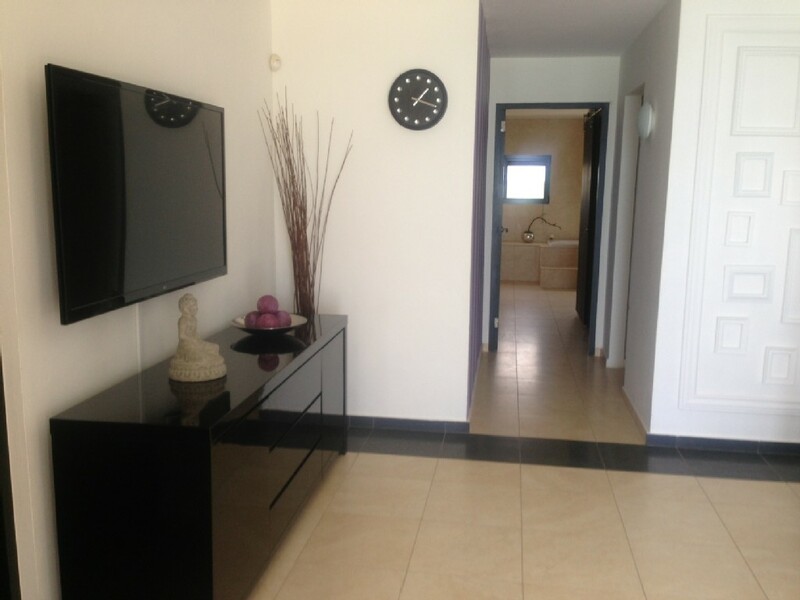 Conveniently close to town and the supermarkets. Most places were only 10-15 minutes drive away. We were able to enjoy the many dive sites on the south side. It was quiet the experience for the kids to fish and snorkel from the villa as well. During our stay, they arranged for us to have a private chef that provide us with a customized menu along with a separate children's coursed menu. The kids loved dining like us "adults". Another evening Alexis arranged a sunset beach BBQ with the same chef who provided fresh local fish that we were excited to try. And did I mention the spa day my mother and I had? We enjoyed massages and pedicures from the comfort of the villa. To say this was a VIP vacation is an understatement. 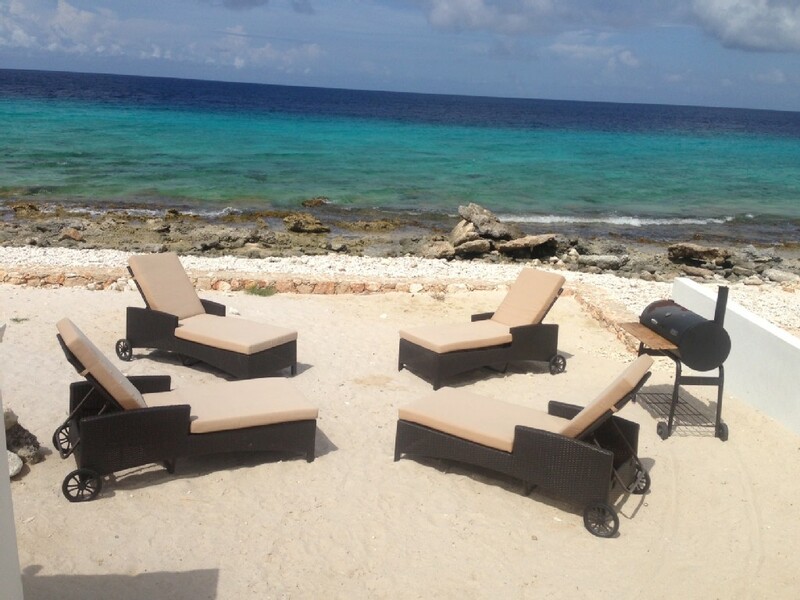 It was the personalized service from Bonaire Beach Villa that truly made our vacation memorable. Dustin and Alexis went above and beyond. We will definitely be back in upcoming years! About:Young couple purchased and built villa from ground up as second home. Passionate kitesurfers, windsurfers and wakeboarders.